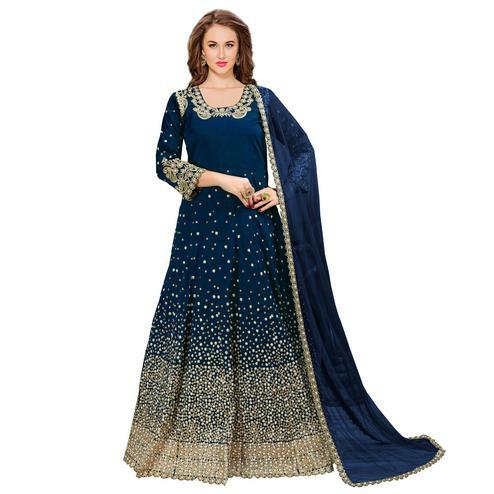 This designer anarkali suit in blue color is sure to give you an adorable look. Featuring exquisite heavy embroidered patch & lace border work done within the attire adds to its ethnic appeal. This outfit is sure to impress everyone around. The outfit comprises georgette top poly santoon bottom & inner and pure chiffon dupatta for a complete look.